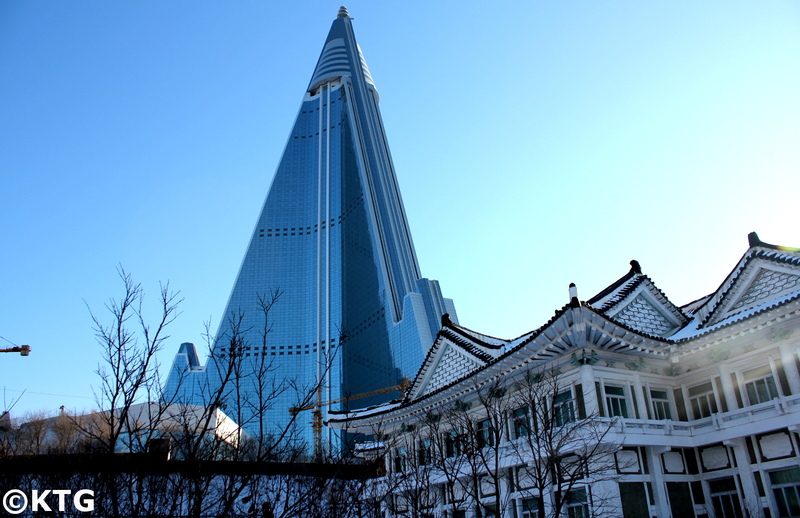 The Ryugyong Hotel is seen by many as the most iconic building in Pyongyang. 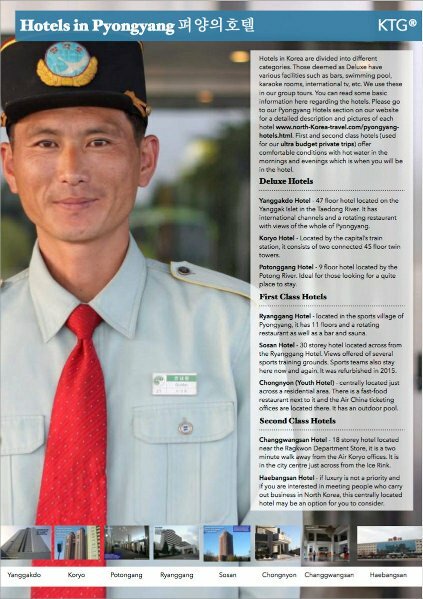 Currently undergoing reparation and therefore not open to tourists, we simply felt that we could not leave this one out of our list of North Korea Hotels! 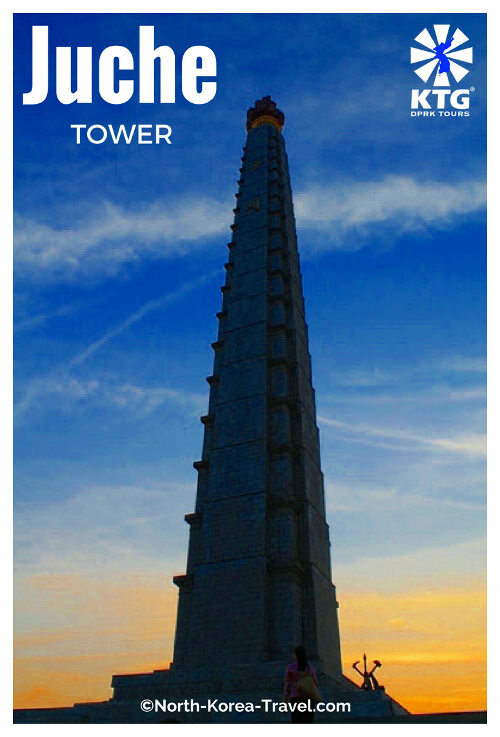 In this page dedicated to such an impressively imposing structure we have included pictures we have taken on our tours, the first picture being from a trip arranged in 2008. 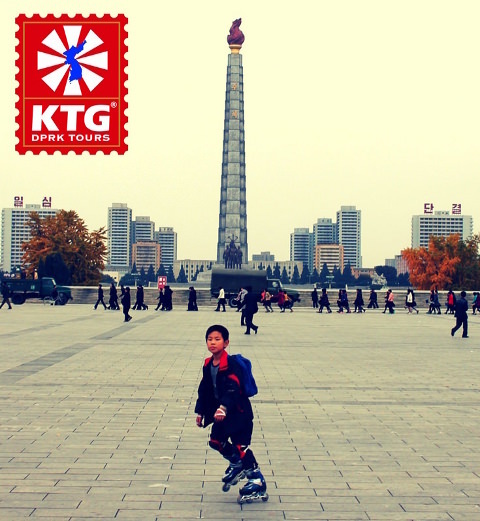 Looming over the North Korean capital and visible from miles away, this 330 metre (1,083 feet) is a site of its own. Catching a close up look of this construction dwarfing any building in its surrounding perimeter is simply breathtaking! In 2008 the hotel was completely covered in concrete. Our shock would come in our tours the following year where there was some visible change in the hotel's appearance. 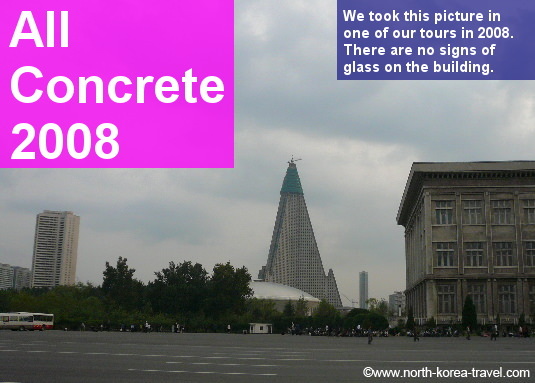 Obvious change started to become visible in 2009 when several sides of the Ryugyong Hotel was covered in glass and the top section of the hotel had been reformed. This picture was taken on one of our 2010 tours in April. Progress was steady. 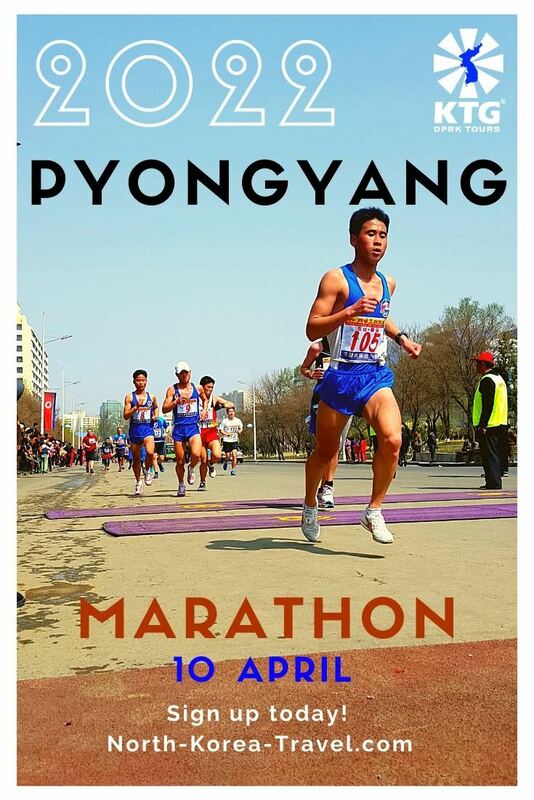 Orascom, the Egyptian telecommunications company that invested in the DPRK mobile phone networks, has been cooperating with DPRK authorities in the renovation of the hotel. 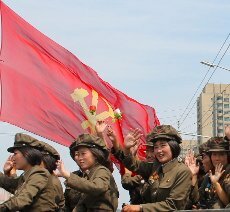 The building, which already has several communication towers, will be partly used as a base for Orascom in North Korea, while the rest will be used as a hotel and apartments. 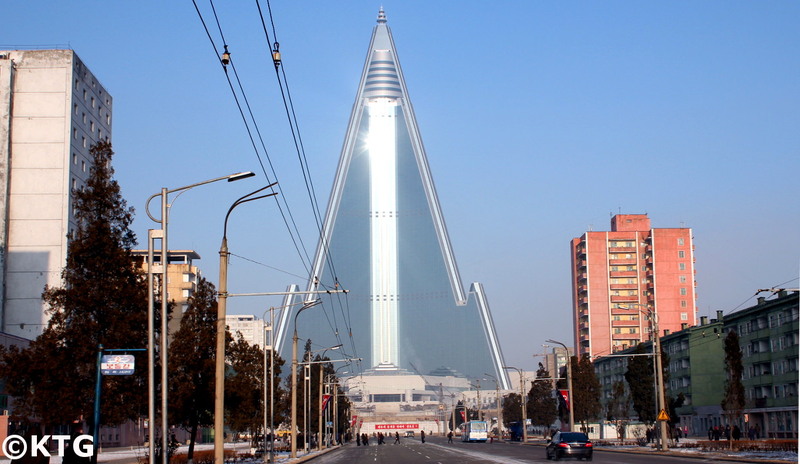 The Ryugyong will have too several revolving restaurants which will undoubtedly offer the best views of Pyongyang. The gigantic pyramid has no less than 105 storeys a fact that makes it one of the buildings with most floors in the world. It is also known as "105 Building" and the "Capital of Willows." 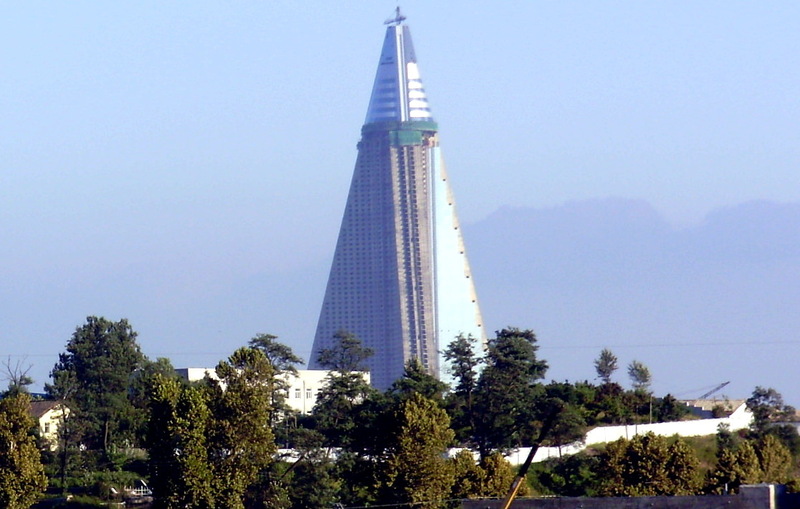 A seemingly endless structure, the futuristic like / sci-fi architecture of the Ryugyong is a stark contrast to that of any other building not only in Pyongyang but in the rest of North Korea. 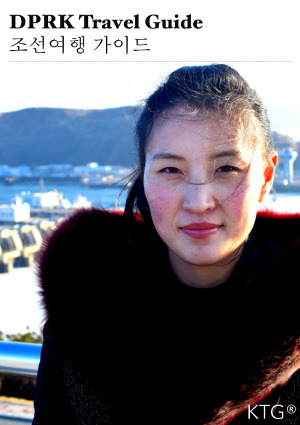 We took this picture in the winter of 2012. The changes compared to our initial pictures needn't be described by words. 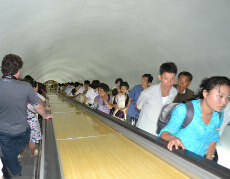 Its importance is such that it has its own mini version in the Pyongyang Folk Park (aka mini-Pyongyang) where the main buildings and structures of the country are shown. Tip: Great views of the Ryungyong Hotel are offered from the National Embroidery Institute (as seen in the picture below) as it is located very close by. 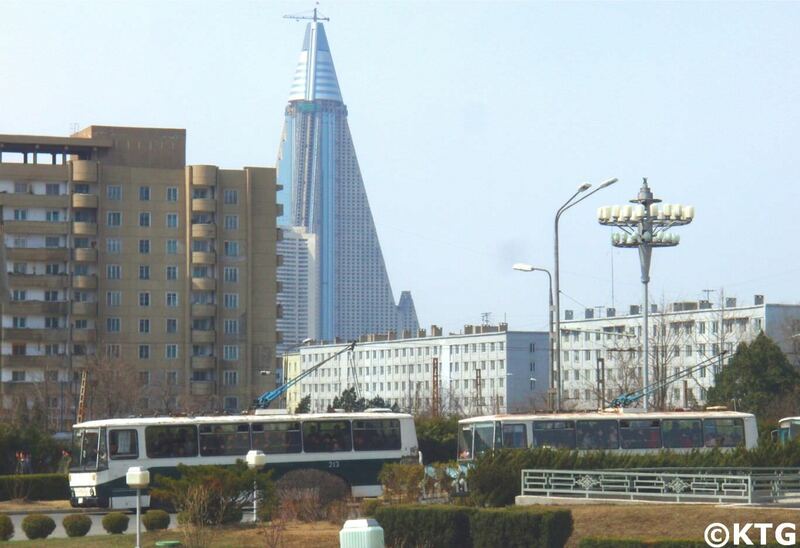 Go from our section on The Ryugyong Hotel to Pyongyang Hotels for more information on other types of accommodation in North Korea.